Boo-Hoo! These ghosts are having a Halloween party, but before the festivities can begin they need all of their digits. Encourage your child to complete the ghosts' numbers so they can get the party started. 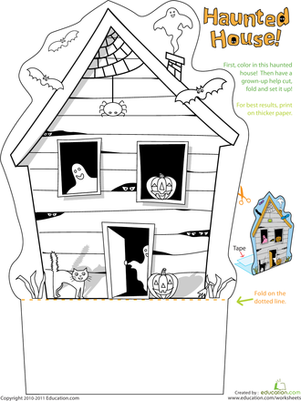 With this worksheet your little ghoul will count from one through 24, and get a little writing practice too. Mix counting practice with coloring page fun with this Valentine's Day themed picture. 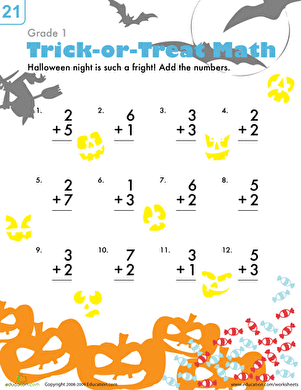 Sneak some addition practice into Halloween night with this festively spooky math worksheet. Can your kid help mama bird reach her babies? As he follows the path from one to 20, he'll get more comfortable counting to 20 and have fun while he's at it. Math is a jungle sometimes! 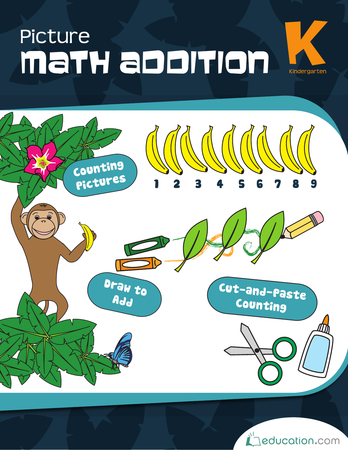 Cut, paste, and count your way through in this workbook where it all adds up. 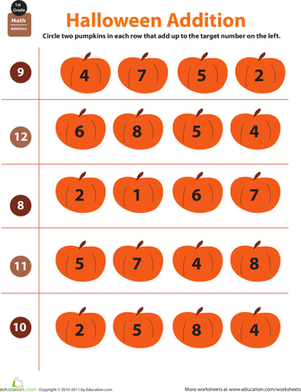 Put your child on the path of mastering simple addition with numbers one through 10 this Halloween!